Frequent visitors to Penang may remember the PARKROYAL Penang Resort as one of the first few resorts to dot the beaches of Batu Ferringhi in Penang. The resort is family-friendly, with many revisiting year after year. But to keep fresh, a change of surrounds is vital and that’s exactly why PARKROYAL Penang Resort underwent a transformation. TV host Reem Shahwa and her partner Jacob Mowson was recently at the resort to check out its latest offerings, seen in the video below. 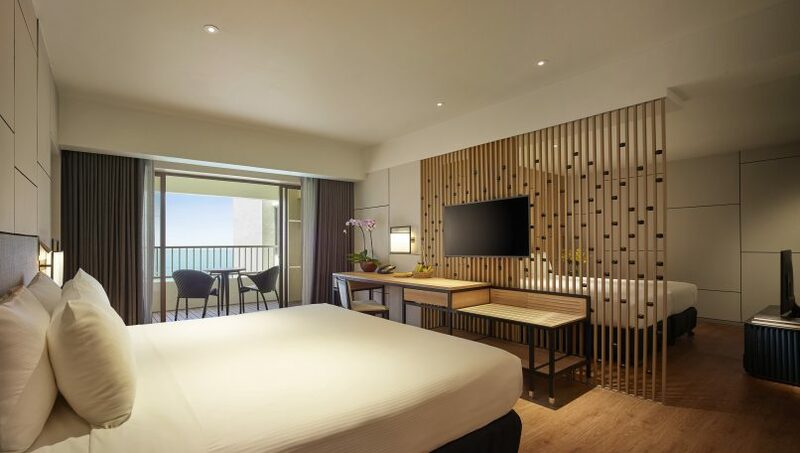 The RM55 million transformation saw the PARKROYAL Penang Resort with a more stylish and modern look, upping the ante to offer leisure and business travellers exciting new experiences from arrival through to departure. Perhaps the most significant transformation that can be easily spotted as soon as the guests enter the resort is the remodelled lobby area. Spacious and airy, the lobby is already a teaser of what guests are to expect in the resort: relaxed, tropical, and modern yet with a nod towards tradition. A key element that presents itself throughout the newly refurbished PARKROYAL Penang Resort is the screens adorned with betel nuts — also known as “pinang” in Malay. For those in the know, Penang in the local language is “Pulau Pinang”, and the island got its name from the pinang tree. It’s a subtle nod towards tradition: infusing elements of the local name of the island. The Family Seaview Two Bedroom is a new room category, perfect for families and groups. Other than the lobby, the resort transformation also extends to the rooms and suites. 284 rooms and 24 suites in the resort is fitted with the new style: soft furnishings, stylish and energy-saving lighting, and wooden elements throughout the interior. Alongside the refurbishments, a new room category has been introduced too: the two-bedroom Family Seaview, perfect for families and groups. In the suites and Family Seaview rooms, the same recurring Pinang screens can be seen. Enjoy the best of Penang’s hawker food at the Cinnamon all-day dining in PARKROYAL Penang Resort. 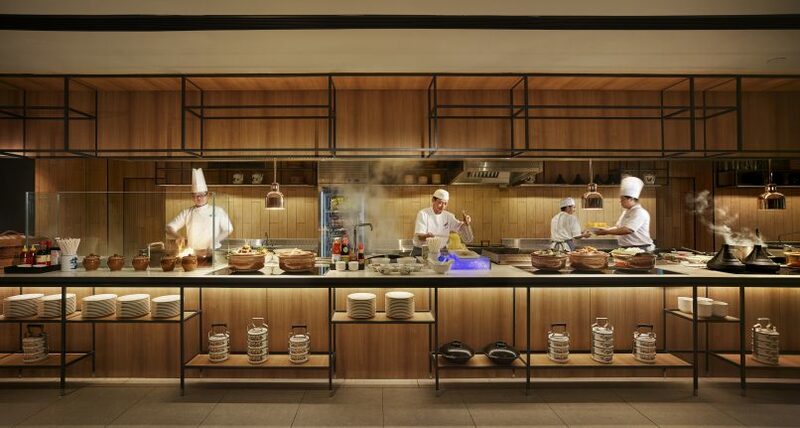 The refurbishment also introduced a new dining concept at PARKROYAL Penang Resort’s all-day dining restaurant, Cinnamon. Previously known as Tamarind Brasserie, the new dining outlet serves authentic local dishes including hawker fare such as char koay teow, satay, laksa, and more. You can get a taste of Penang’s finest without even needing to step out of the resort. Cinnamon is divided into two sections: indoor and outdoor. with the latter area having traditional Peranakan-inspired tiles. Similar to the lobby area, the outdoor area of Cinnamon also features the same airy, relaxed vibe with wooden elements. In the video above, popular sports TV host Reem Shahwa and her partner Jacob Mowson indulges in a weekend stay at the Premier Seaview Suites. You too, can have the same experiences as the couple — from the in-room breakfast to the high tea session, and the complimentary nyonya kuihs that only suite guests get to enjoy.